Liberal Bohemian: More proof this is the year of the woman. CAPE CANAVERAL - Launch towers that have graced Florida's Cape Canaveral since the early days of the space program came down Thursday morning like a Good-Bye Phallic Symbol. Yes, launch stations are more uterus now, slender, flat, straight forward. The demolition was triggered around 7 a.m. by the Commander of the Air Force 45th Space Wing. A simultaneous detonation brought down some structures at launch complex 17, a few miles away from Port Canaveral. In Seneca Falls, New York, on this day in 1848 the first women's rights convention ever held i the United States convenes, with almost 200 women in attendance. 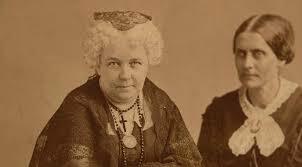 It was organized by Lucretia Mort and Elizabeth Cady Stanton, who met at the 1840 World Anti-Slavery Convention in London, England. 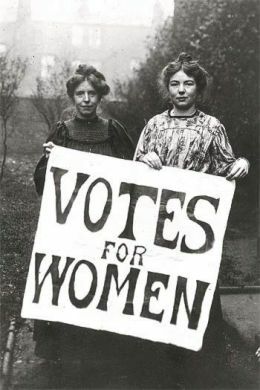 As women, they were barred from the convention floor, and this was the impetus for their founding of the movement. Did you get that year? 1848. It sure has been a long battle. In ancient Greece, people celebrated the Adonia on this date, the midpoint of Adonis' traditional six months' presence on Earth and the anniversary of his wedding to Aphrodite. The ancient Egyptian New Year falls on this day, which is the birthday of the mother goddess Isis and the anniversary of her marriage to Osiris, the god of vegetation.